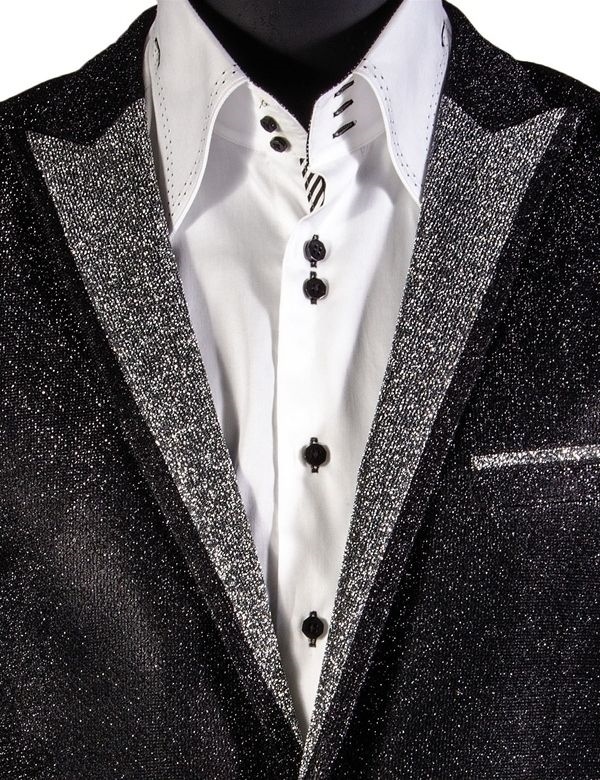 Add a little retro glam rock to your wardrobe with this metallic tux jacket presented by ShopBigTime. 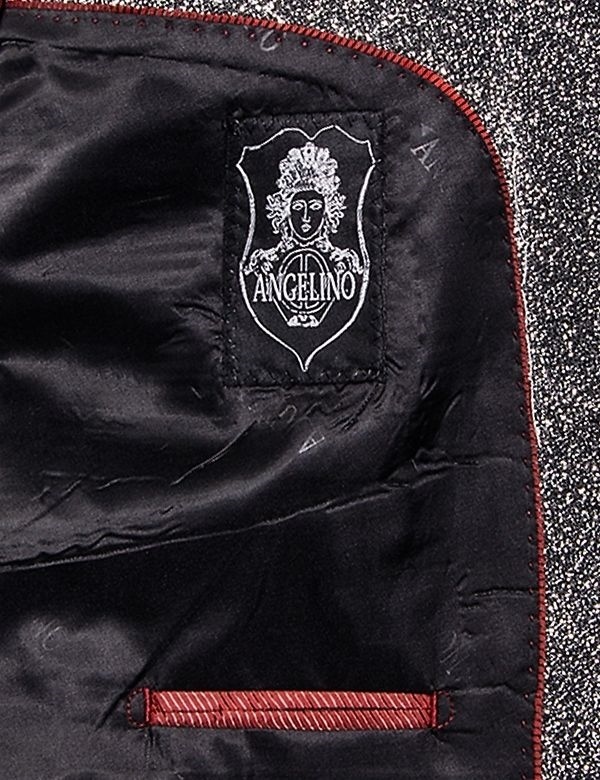 Shown in black, it features an unconventional two-button silhouette. 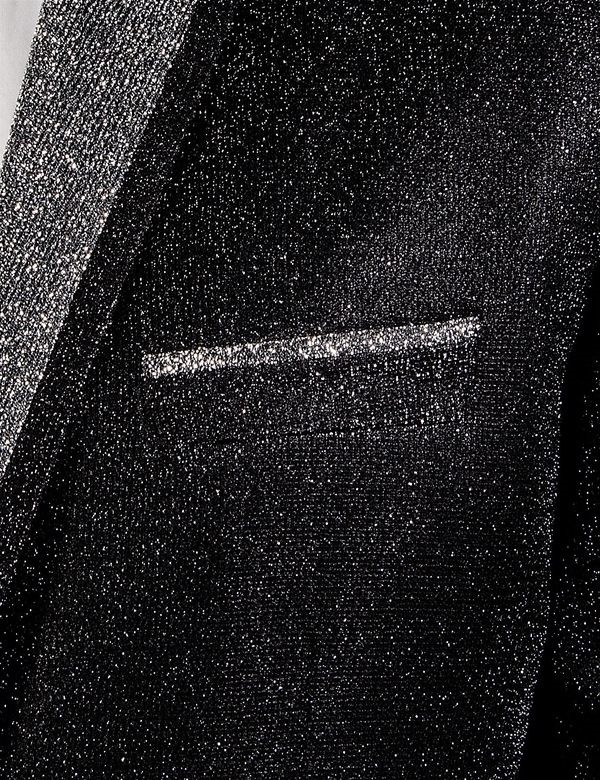 Peak lapels and piped flap pockets are rendered in contrasting silver. Can be worn dressed up with black pants or down with some jeans. 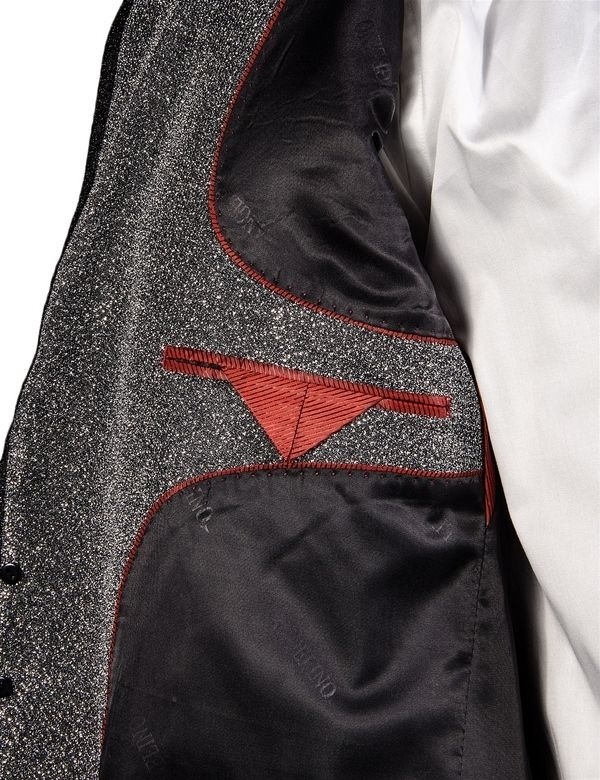 Whether you are on the red carpet or just casual, this blazer will get you noticed!